Regarding its importance in decoration, Metal has always been a valuable element, and not only because of its special shine which provides any room with that added extra glamour and distinction. As well as that, it is also because of its capacity to reflect light, and its versatility to both adapt to, and blend in with any decorative style. Inside the metal range, if there is a finish which turns out to be a trend regarding interior design, then it is copper and bronze. These materials have hit both architecture and interior design with full force, by colouring small corners and details, which show its big personality and character. 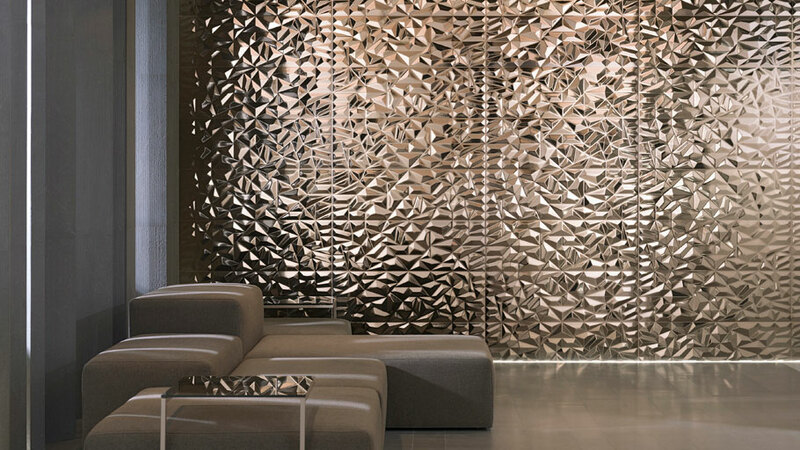 Since copper, and its alloy with tin, bronze, are some of the oldest materials, at present they turn out to be a highly contemporary and sophisticated alternative when it comes to decorating interior rooms. The fact of decorating either in copper or bronze, and their finest and most romantic version, in other words, rosé, means going in line with the trends, as well as providing a special space with that audacious and daring touch. 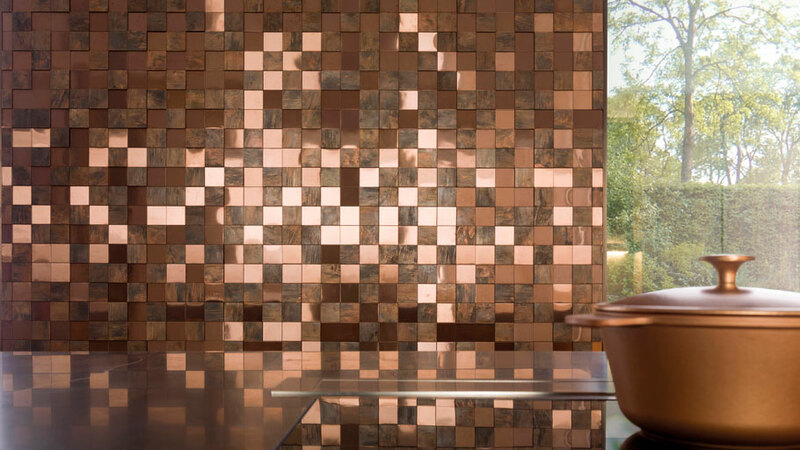 Bronze or rosé gets into design with a renovated colour tone and a wide range of finishes and textures by means of the unique high-style ceramic wall tiles. 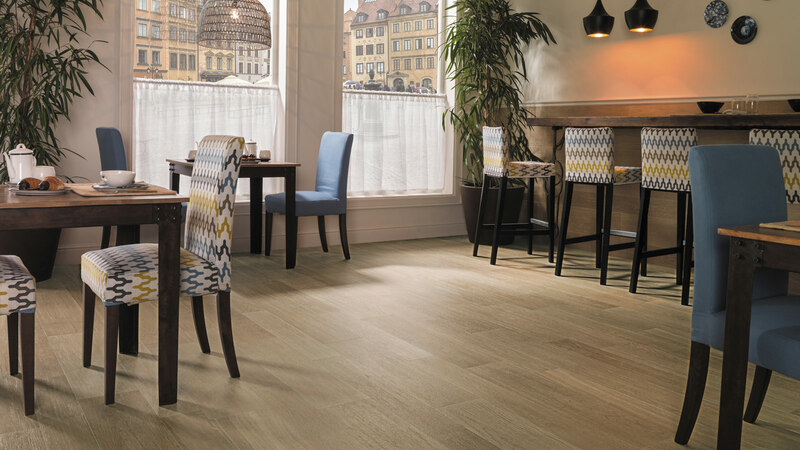 In truth, they have to be introduced into the spaces in a subtle and controlled way, counting on natural wood materials and products for the rest of the decoration. This way, a highly vintage style is achieved, thanks to the always spot on black and white pairing or, otherwise, through a range of earthy colours. 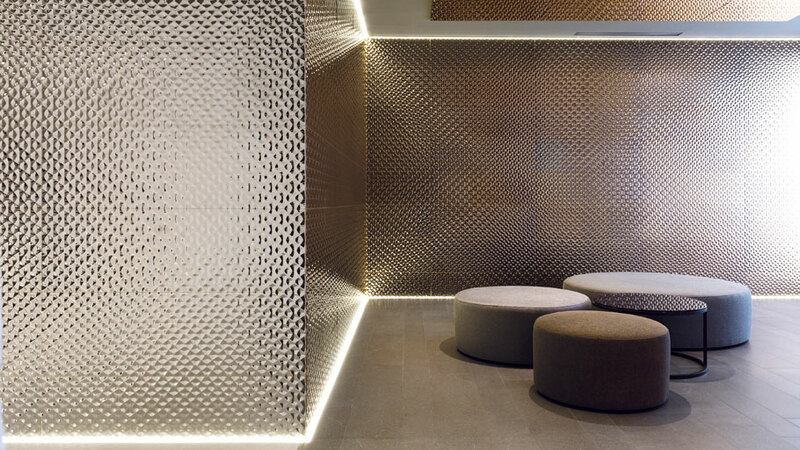 Ranging from 3D mosaics to either textured or aged copper appearance wall tiles, PORCELANOSA Grupo offers designs for flooring and wall tiles in a bronze finish which are able to fulfil the needs of the design. We can renovate a lounge thanks to the use of audacious wall tile choices such as the geometrical-effect Prisma wall tiles or the Artis collection in a bronze finish, both of them by Venis. 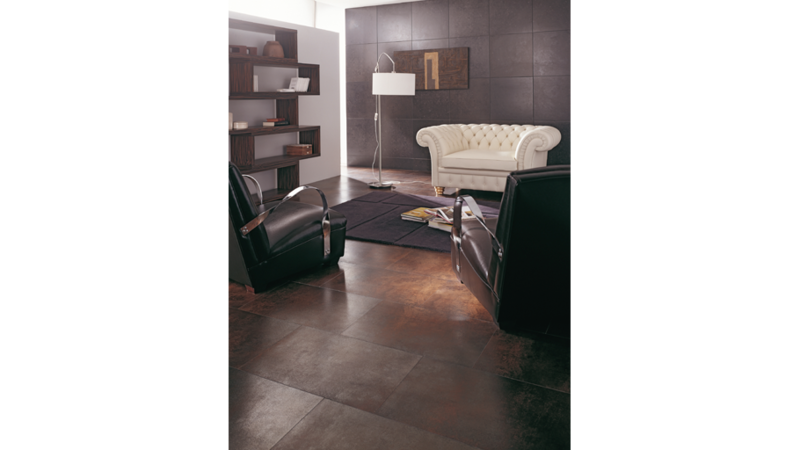 The firm, Venis, also offers the Ferroker collection for both floor and wall tiles. It is a weathered material which seems to have been embellished over the years. 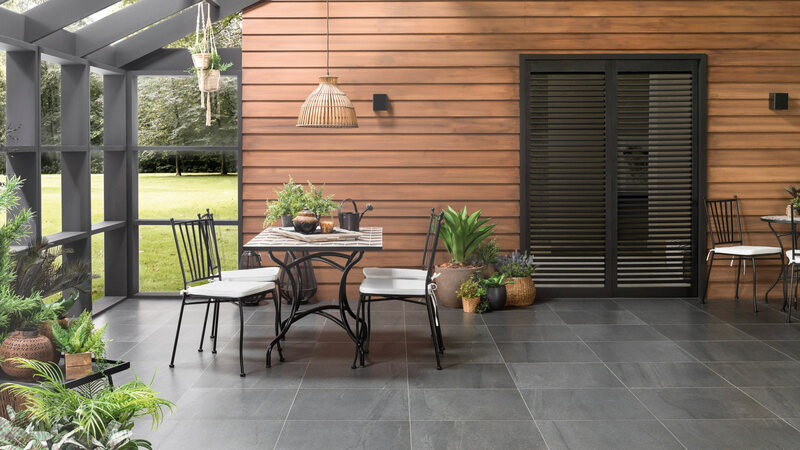 Similarly, but in a large format, one can find both the Rust and Nox extra-slim porcelain tile by Urbatek, two designs in a straight bronze finish which can even be installed on large surfaces. One of the other choices is to opt for subtle details when choosing a trend regarding design. Decorative styles such as the Nordic, which is a lover of both sobriety and the colour white in the main, and as well as this, rosé is opted for, but introduced both precisely and progressively in relation to style. 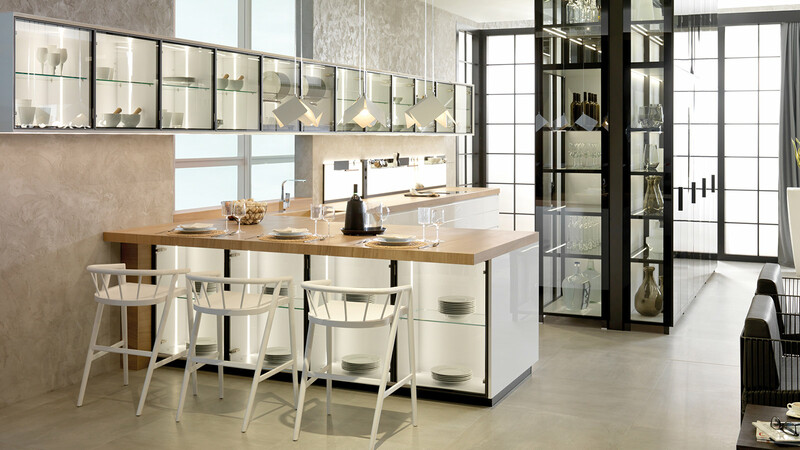 Butech, PORCELANOSA Grupo’s firm, suggests turning that desire into something real by means of its fine range of decorative profiles in rosé, which is elegant as well as being unique. The Pro-part collection by Butech, apart from the rosé model, also includes other metal finishes, such as Graphite and Antique. Both the high quality and resistance of the ceramic materials make the designs in both bronze and rosé possible, as well as going beyond the conventional style, therefore, they can be introduced on walls in such demanding spaces like kitchens or bathrooms. 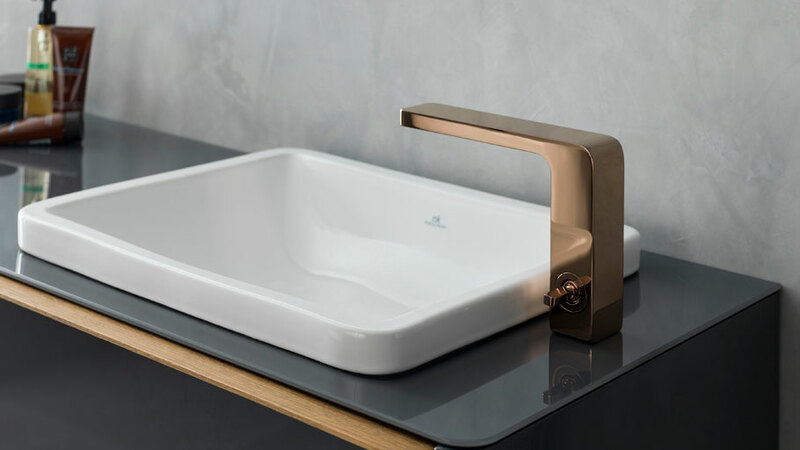 A space in a bronze finish is brought to mind, either in a bathroom or a kitchen, it is possible thanks to the current ceramic designs which move the design trends to spaces where before it seemed impossible. 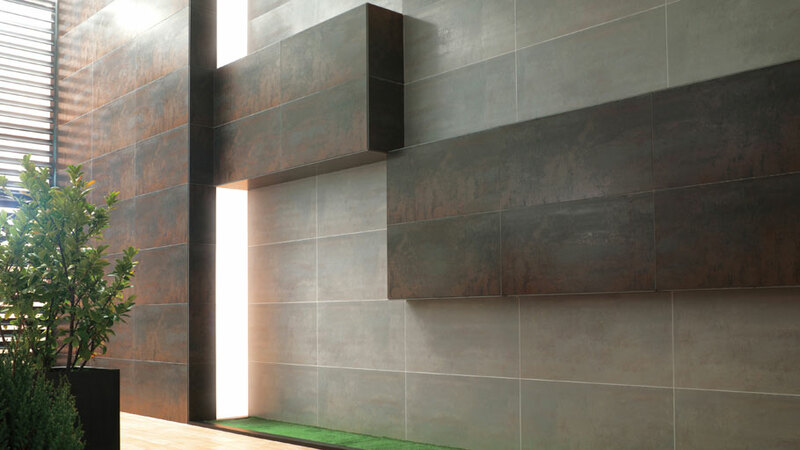 The Premium house from the PORCELANOSA Grupo, which belongs to the Premium Collection, firmly commits to the use of unique wall tiles in bronze. 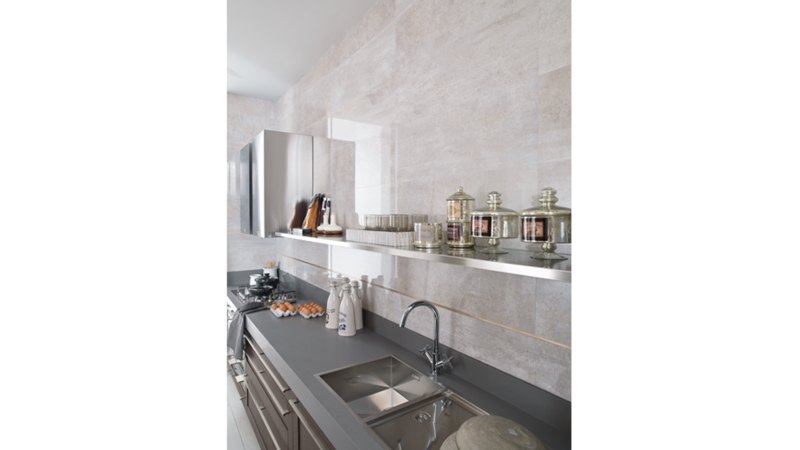 For instance, in a kitchen atmosphere, in combination with small copper and rosé details, and also in taps. 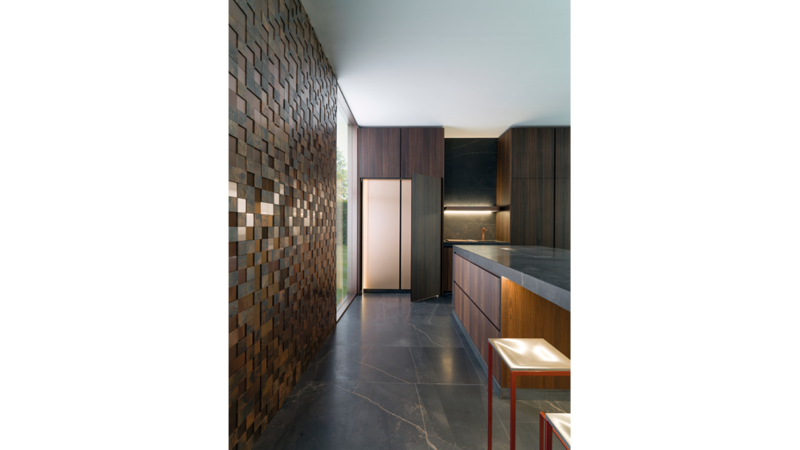 The Premium house selects materials with great potential for aesthetics, such as the Metal Bronze 3D Cubes mosaic, by L’Antic Colonial, as well as the NK Logic kitchen taps by Noken. The bathroom may be that ideal place for unleashing the taste for decoration in bronze or rosé. 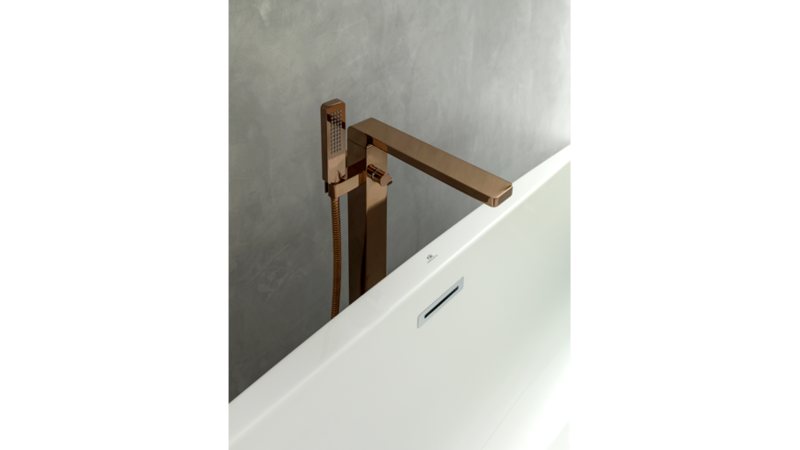 The pieces, with regard to taps, either basin, bathtub or shower, may become that small detail, however, without standing out, they go hand in hand with the latest trends in interior design. 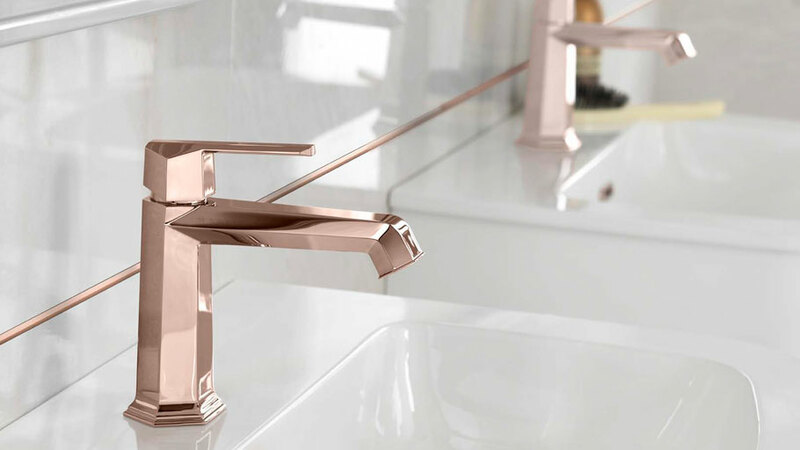 An excellent elegant colour, which, although it excels by itself, it must go with a very current contemporary tap design, which is able to impress because of both its beauty and technology. 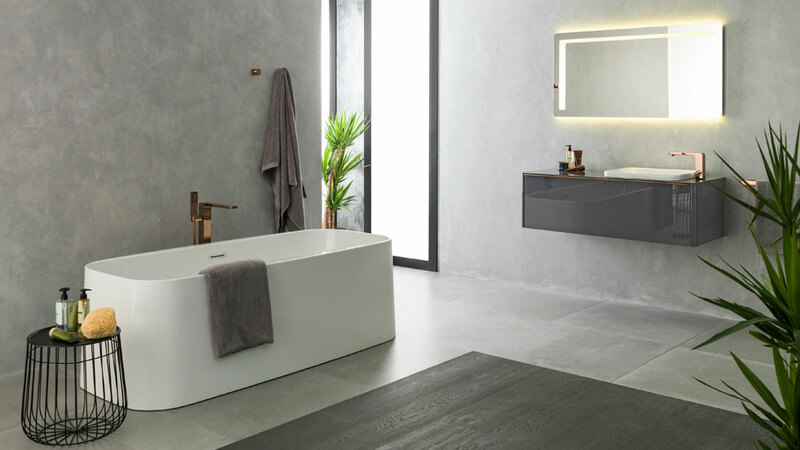 Noken, and both its NK Concept and Lounge taps, which are included in all the versions from the Premium Collection, turn out to be that excellent model for setting up the ideal bathroom.